Another Level was a British soul and R&B influenced boy band that formed in 1997 and broke up in 2000, consisting of Mark Baron, Dane Bowers, Bobak Kianoush and Wayne Williams. They achieved seven top ten singles, including the 1998 number-one "Freak Me". Soul music is a popular music genre that originated in the African American community in the United States in the 1950s and early 1960s. It combines elements of African-American gospel music, rhythm and blues and jazz. Soul music became popular for dancing and listening in the United States, where record labels such as Motown, Atlantic and Stax were influential during the Civil Rights Movement. Soul also became popular around the world, directly influencing rock music and the music of Africa. In 2013, the band were about to reunite for the ITV2 documentary, The Big Reunion however, Williams and Baron chose not to take part in the show. Bowers is the only member to take part in the show as he joined supergroup, 5th Story along with Kenzie from Blazin' Squad and former soloists Adam Rickitt, Kavana and Gareth Gates. The Big Reunion was a British reality-documentary series that began airing on ITV2 on 31 January 2013. The show featured chart-topping bands who were big in the UK pop music scene between the 1990s and early 2000s, and the programme followed them as they reunited for the first time in a decade and went through their two weeks of intensive rehearsals before finally stepping back on stage for a comeback performance. 5th Story were an English supergroup consisting of 1990s-early 2000s pop stars Dane Bowers, Gareth Gates, Kavana, Kenzie and Adam Rickitt. They were formed in 2013 exclusively for the second series of the ITV2 reality-documentary series The Big Reunion. Dane Bowers and Wayne Williams were both students of the BRIT School of Performing Arts & Technology in the London Borough of Croydon when they were discovered. Williams enrolled at the school in 1995, while Bowers was in the year below, but started in 1994. Dane Leon Bowers is an English singer, songwriter, DJ and record producer. He was a part of R&B boyband Another Level between 1997 and 2000 when he performed on seven Top 10 singles, before taking up solo projects with True Steppers and Victoria Beckham. He has made TV appearances on Celebrity Big Brother 7 and the celebrity version of Come Dine With Me. and is now part of the pop supergroup 5th Story, set up for The Big Reunion. The BRIT School for Performing Arts and Technology is a British performing arts and technology school located in the London Borough of Croydon, England, with a mandate to provide education and vocational training for the performing arts, media, art and design and the technologies that make performance possible. Selective in its intake, the school is notable for its numerous famous alumni, such as singers Amy Winehouse, Adele and Jessie J, and actor Tom Holland. The London Borough of Croydon is a London borough in south London, England and is part of Outer London. It covers an area of 87 km2 (33.6 sq mi) and is the largest London borough by population. It is the southernmost borough of London. At its centre is the historic town of Croydon from which the borough takes its name. Croydon is mentioned in Domesday Book, and from a small market town has expanded into one of the most populous areas on the fringe of London. Croydon is the civic centre of the borough. The borough is now one of London's leading business, financial and cultural centres, and its influence in entertainment and the arts contribute to its status as a major metropolitan centre. Another Level were originally conceived by Nick Raphael and Christian Tattersfield for their new record label project Northwestside Records, a BMG sub-label in the United Kingdom that had also signed Jay-Z's Roc-A-Fella Records unit in 1998. Due to Northwestside's position as an urban marketed record label, a number of R&B and hip hop stars guested on Another Level's songs. These included Jay-Z, Ghostface Killah and TQ amongst others. Nick Raphael is a music industry executive and was born in London, England. He is currently President of Capitol Records in the UK. He got his first taste of the music industry in 1987, when he with school friends promoted a night at Dingwalls in Camden Lock, London. His most recent successes include 5 Seconds of Summer who became the first band to have their first three albums enter at No. 1 on the Billboard 200, Paloma Faith who won the 2015 Brit Award for Best Female Solo Artist, Liam Payne who currently has the biggest selling single from a member of One Directionand Sam Smith who won four 2015 Grammy Awards plus an Oscar and Golden Globe in 2016.In October 2018, Sam Smith surpassed 20 million global album sales. Shawn Corey Carter, known professionally as Jay-Z, is an American rapper, songwriter, record producer, entrepreneur, and record executive. Considered one of the best rappers of all time, he is regarded as one of the world's most significant cultural icons and has been a global figure in popular culture for over two decades. Another Level had seven Top 40 singles in two years, including 1998's UK Singles Chart number one "Freak Me" (a cover of the 1993 hit by US group Silk), and a platinum-selling, eponymous debut album. In the music industry, the top 40 is the current, 40 most-popular songs in a particular genre. It is the best-selling or most frequently broadcast popular music. Record charts have traditionally consisted of a total of 40 songs. "Top 40" or "contemporary hit radio" is also a radio format. Frequent variants of the Top 40 are the Top 10, Top 20, Top 30, Top 50, Top 75, Top 100 and Top 200. Another Level is the self-titled debut album by English boy band Another Level, released on 9 November 1998 in the United Kingdom by Northwestside Records. It includes the number one single "Freak Me", originally sung by Silk, as well as the singles "Be Alone No More", "Guess I Was a Fool", "I Want You for Myself" and the double A-side release "Be Alone No More '99" and "Holding Back the Years". The album peaked at number thirteen in the United Kingdom, where it was certified Platinum on 9 April 1999. On 27 August 2013, Another Level were on the verge of signing up for the ITV2 documentary, The Big Reunion ,  but Williams has since announced that he will not take part. In an interview with MTV UK, he said: "I decided not to participate in The Big Reunion because it wouldn't feel right to me...I'm in a totally different space in my life and I don't feel any need to look back." Also, Baron, who now works for Alan Sugar's company Amsprop, had been forced to pull out due to Sugar not allowing him time off work. Bowers told the Daily Star , "Another Level were supposed to do it but then Mark said he couldn't because of work. He's married to Alan Sugar's daughter and works for him. You don't say no to Alan Sugar. I was a bit annoyed because he pulled out right at the end. Surely he would have known earlier. But his loss is my gain." Bowers is the only member to take part in the show as he joined supergroup 5th Story along with Kenzie from Blazin' Squad and former soloists Adam Rickitt, Kavana and Gareth Gates. 1999 "I Want You for Myself"
The Brand New Heavies are an acid jazz and funk group formed in 1985 in Ealing in west London. Centered around songwriters/multi-instrumentalists Simon Bartholomew and Andrew Levy, the core members of the group since its founding, Brand New Heavies are best known for a string of successful singles in the early 1990s featuring N'Dea Davenport as lead vocalist. Blazin' Squad are an English hip hop group. The group had seven top ten hits, including "Crossroads", a cover version of the Bone Thugs-n-Harmony original. Jon O'Brien of AllMusic called them the "Self-proclaimed pioneers of 'chav' culture." A1 are a British–Norwegian boy band that formed in 1998. The original line-up consists of Paul Marazzi, Christian Ingebrigtsen, Mark Read and Ben Adams. Ingebrigtsen is originally from Oslo, Norway, but the other members originate from London. Adam Peter Rickitt is an English actor, singer and model. He played Nick Tilsley in the soap opera Coronation Street from 1997 to 1999 and again from 2002 to 2004. He then became part of the pop group 5th Story, set up for The Big Reunion, before joining Channel 4 soap Hollyoaks in 2017. 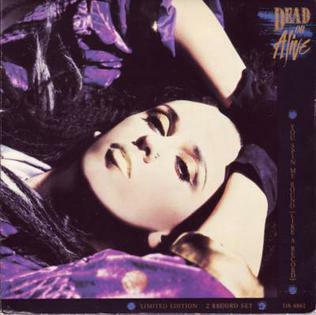 "You Spin Me Round " is a song by British band Dead or Alive on their 1985 album Youthquake. Released as a single in 1984, it reached no. 1 in the UK in March 1985, taking 17 weeks to get there. It was the first UK no. 1 hit by the Stock Aitken Waterman production trio. On the US Billboard Hot 100, it peaked at no. 11 on 17 August of that year. In 2015 the song was voted by the British public as the nation's 17th favourite 1980s no. one in a poll for ITV. Musician and actor Gary Kemp described the song as "one of the best white dance records of all time". Kavana is a British singer and actor who scored a number of hit singles in the late 1990s. In 2014, he became part of the supergroup 5th Story, who took part in the second series of The Big Reunion. In 2015, he took part in the fifteenth series of the Channel 5 reality series Celebrity Big Brother. "Freak Me" is a song by American R&B group Silk. It was released in February 1993 as the second single from their debut album, Lose Control. It was co-written and co-produced by Keith Sweat, for whom Silk was a touring opening act. Tim Cameron, Jimmy Gates and Gary "Lil G" Jenkins sing lead on the song. The song was the group's highest charting hit, reaching number-one on both the Billboard Hot 100 for two weeks, and the U.S. Hot R&B Singles chart for eight weeks. It was certified platinum by the Recording Industry Association of America (RIAA) and sold over 1.3 million copies domestically. Nexus is the second and final studio album by English boyband Another Level, released on 13 September 1999 in the United Kingdom by Northwestside records. The album includes the theme from Notting Hill, "From the Heart", released by the band in May 1999. The album includes the singles "Summertime" and "Bomb Diggy", which became the band's final single. The album peaked at number 7 on the UK Singles Chart. A limited edition version of the album with a bonus disc was made available on the day of release. The discography of Silverchair, an Australian alternative rock band, consists of five studio albums, twenty-two singles, two live albums, two best of albums, and four video releases. The following is the complete discography of the Alan Parsons Project. Over the years they have released 12 studio albums, 14 compilation albums and 38 singles. MN8 were an English R&B pop group. They consisted of KG, G-Man, Kule T and Dee Tails. James MacKenzie, better known as Kenzie or James Kenzie, is a rapper, DJ and personal trainer, formerly a member of 10-piece UK hip-hop group Blazin' Squad. He was also part of the R&B/pop supergroup 5th Story, set up for The Big Reunion in 2013. 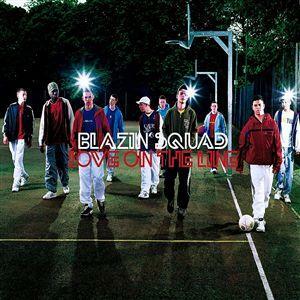 "Love on the Line" is a song by ten piece hip-hop group Blazin' Squad, released as the second single from their debut studio album, In the Beginning. The discography of British boy band 911 consists of 13 singles and three studio albums. 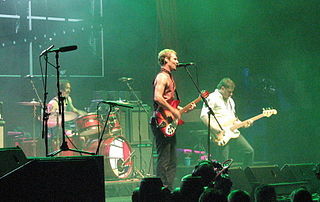 They were formed in 1995 and released their debut single in May 1996. They went on to score 10 UK top 10 singles and 10 million singles sales around the world, before their split in early 2000. The trio reunited in 2005, when they participated in the ITV reality show Hit Me, Baby, One More Time and have performed live shows occasionally since. English recording artist Olly Murs has released six studio albums, eighteen singles and twenty one music videos on recording labels Epic and Sony subsidiary Syco. Olly rose to prominence in the United Kingdom after being a contestant on The X Factor during its sixth series, ultimately finishing in second place on 12 December 2009. During his time on the show, Murs appeared on the number-one charity single "You Are Not Alone" alongside the other finalists. His debut single, "Please Don't Let Me Go" was released on 27 August 2010—where it became his second number-one single and first as a solo artist. The accompanying album, Olly Murs was released on 26 November, where it debuted at number two, and was preceded by the number four single "Thinking of Me" on 19 November. The singles "Heart on My Sleeve" and "Busy" were also released from the album on 27 March and 27 May 2011—peaking at number twenty and forty-five in the UK respectively. The second series of the British reality-documentary series The Big Reunion began airing on ITV2 on 6 February 2014 and ended on 27 March 2014. The show features 'teen' bands, some of whom were big names in the UK pop music scene between the 1990s and early 2000s, and the programme follows them as they reunite for the first time in a decade and go through their two weeks of intensive rehearsals before finally stepping back on stage for a comeback performance. Select discography of Australian musician Daniel Johns. 1 2 "Another Level's Wayne Turns Down 'The Big Reunion'". MTV UK. 4 September 2013. Retrieved 6 September 2013. 1 2 Ingham, James (26 January 2014). "Lord Alan Sugar an obstruction to The Big Reunion". Daily Star . Northern & Shell . Retrieved 1 February 2014. ↑ Armstrong, Laura (28 August 2013). "Another Level set to appear on The Big Reunion". The Sun . News UK . Retrieved 6 September 2013. 1 2 "UK chart peaks". Official Charts Company . Retrieved 24 October 2016. 1 2 "Belgian (Flanders) chart peaks". ultratop.be. Retrieved 24 October 2016. 1 2 "Dutch chart peaks". dutchcharts.nl. Retrieved 24 October 2016. "Another Level". Official Charts Company . Retrieved 24 October 2016. "Nexus". Official Charts Company. Retrieved 24 October 2016. 1 2 3 "BPI Certification". British Phonographic Industry . Retrieved 24 October 2016. ↑ "Australian charts peaks". australian-charts.com. Retrieved 24 October 2016. ↑ "French chart peaks". lescharts.com. Retrieved 24 October 2016. "Freak Me" (in German). Gfk . Retrieved 24 October 2016. "From the Heart" (in German). Gfk. Retrieved 24 October 2016. ↑ "Irish chart peaks". irishcharts.ie. Retrieved 24 October 2016. ↑ "New Zealand chart peaks". charts.org.nz. Retrieved 24 October 2016. "Be Alone No More". Official Charts Company . Retrieved 24 October 2016. "Freak Me". Official Charts Company. Retrieved 24 October 2016. "Guess I Was a Fool". Official Charts Company. Retrieved 24 October 2016. "I Want You For Myself". Official Charts Company. Retrieved 24 October 2016. "Be Alone No More (remix)". Official Charts Company. Retrieved 24 October 2016. "From the Heart". Official Charts Company. Retrieved 24 October 2016. "Summertime". Official Charts Company. Retrieved 24 October 2016. "Bomb Diggy". Official Charts Company. Retrieved 24 October 2016. ↑ "Swedish chart peaks". swedishcharts.com. Retrieved 24 October 2016. ↑ "New Zealand Certification - Freak Me". Recorded Music NZ . Retrieved 24 October 2016. "Guess I Was a Fool"
"I Want You for Myself"
"Be Alone No More '99" / "Holding Back the Years"